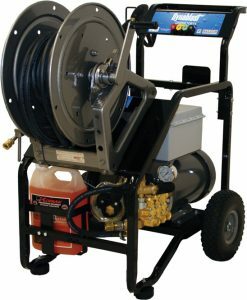 Heavy Duty Construction: Hose Reel is ruggedly constructed of 12 and 16 gauge steel. 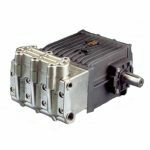 Cam Lock Brake Assembly: Hose reel is supplied with an adjustable cam lock brake assembly with infinite tension settings. Hannay Hose Reel: Kit includes an industrial grade hose reel manufactured by Hannay and specially designed for Pressure Wash Professionals. Adjustable Split Bearing Assembly For safe usage and flexibility. 1/2 90° Female x Female Super Swivel Joint. Everything Included: All hardware and junction hose are included for easy installation.